Hey everyone! How was your Sunday? 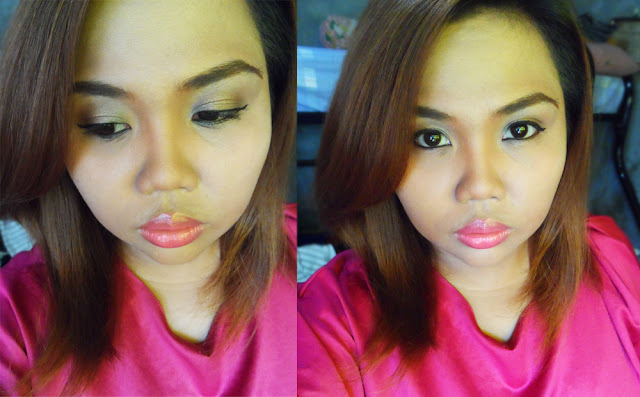 I would just like to share with you all the makeup look I wore for UMAP’s event yesterday (Saturday, April 27, 2013). I want something fab and glam to wear for the event but not too much as well. Wait, that’s a bit contradicting. Hahaha! But I think you do get my point. Anyway, I have also been practicing on contouring and I know it’s not yet perfect but I know I’ll get the hang of it soon. I just need to continue practicing. At least you’d all see the development! I started off with applying the SanSan BB Cream all over my face using my trusty old fingers and afterwards, I used the SanSan Foundation Cream to cover some of the more obvious blemishes. I love how the SanSan Foundation Cream gives you a full coverage by itself but I actually wanted something lighter so I opted to just use it as a part time concealer of some sort. Then afterwards, I used the Snoe Fresh Custard Body and Face Powder in Nectarine Ginger Tea to set the foundation and I’m done with the first stage. Now onto the eyes, I used the Ever Bilena Color Pencil in Brown to fill in my brows and the Ever Bilena Advance HD Colorless Mascara to tame ‘em. Then I used the E4 shade on my Careline Makeup Set 3 all over my lids and blended it with the E3 shade which I applied on my crease and outer part of my lids. 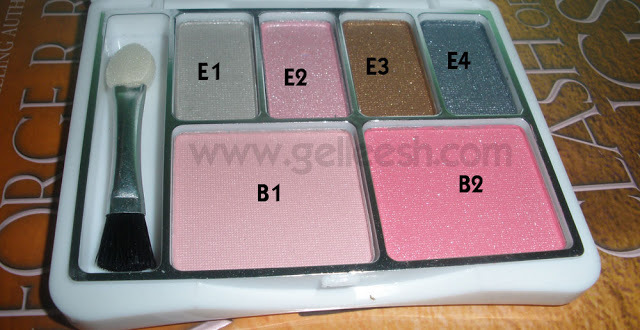 For the brow bone, I then used the lightest shade which is the E1. For the dramatic wings on my eyes, I used the SanSan Waterproof Eyeliner Pen in Black and the SanSan Kohl Eyeliner in Black for my waterline. I curled my lashes, then, with my Shu Uemura Eyelash Curler and used the Maybelline The Falsies Volum Express Waterproof in Brownish Black to make ‘em more voluminous! Now off to the contouring part! I used the Shiseido Bronzer in Dark Fonce on the sides of my nose and blended it out and then I also used it on the line of my cheek bone and swept it up in a sort of crescent shape towards my ear. Then I used the Careline Pimple Concealer with Tea Tree Oil in Oriental and applied it on my nose bridge for highlighting purposes. So that’s how I did my contouring. Need more practice! For the lips, I just applied the Lip Ice Lip Balm in Orange Mandarin first and then topped it with the Ever Bilena Pro Lipstick with Shimmer in Rosette. So, there! This is the makeup look I wore for the UMAP event and I hope you liked it. Have an awesome week ahead! gels! I would say this is def my fave out of all ur FOTDS. I love the way u lined your eyes and I love the blending on the lids. galing!lovelovelove! I love this look. It looks very neat and your skin looks dewy. I like the eyebrows as well. Great job!